After my last disastrous outing, I’ve compiled a snowshoeing safety checklist for future use. My intention is to summarise the main issues involved, but this is not a definitive guide to snowshoeing and readers need to compare my thoughts with other sources. As far as safety is concerned, snowshoeing is the equivalent of skiing. Many ski resorts now have dedicated paths for snowshoeing, which are perfectly safe. Anywhere off these paths and you are faced with the same issues as skiing off-piste. You either need to pay a guide (see list below) or to review the situation carefully. Check out several alternative treks, so one can be selected on the day, according to weather and experience of group. Have a Plan B for when things go wrong. Calculate slope angle on and near route. Aim for less than 20° (37%) for greatest safety. Mature, dense forest also provides good protection from avalanches. Check out known avalanche zones online. Locate potentially dangerous snow bridges, over streams and in areas of karst. Is the path well used so that the snow will be trodden-down? If not, walking in fresh deep snow can take twice as long. If in doubt contact a professional guide or mountain rescue. Follow the weather forecast for one week before the walk. The day before the walk, check out actual snowfall, wind and temperatures online and by telephoning your accommodation, nearest town hall (mairie in France, ayuntamiento in Spain, ajuntament in Catalonia and Andorra) or ski resort. Is the snow likely to be soft, hard, icy? On the day, take particular note of the weather trend. Wind speed and cloud cover are as important as temperature. 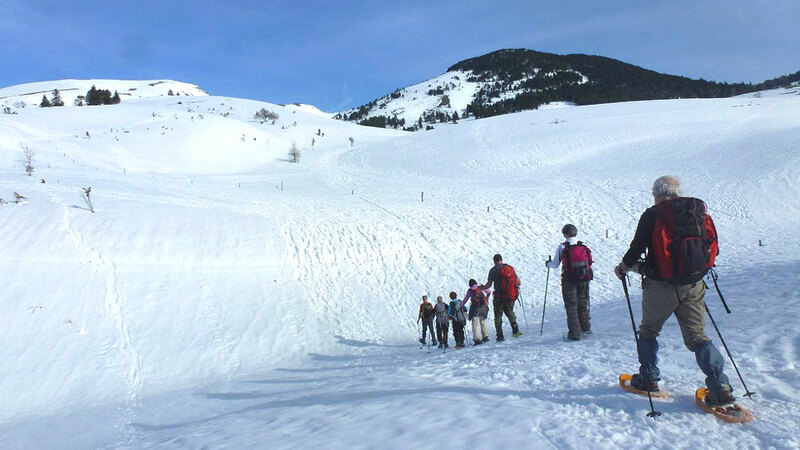 Check the experience of the group and adapt the snowshoeing to the weakest link. Only take people you know on difficult walks. I’m not going to consider avalanche beacons, shovels, probes, crampons and ice axes here. My philosophy with groups is to avoid areas where the slope angle is steep enough for avalanches to be possible. 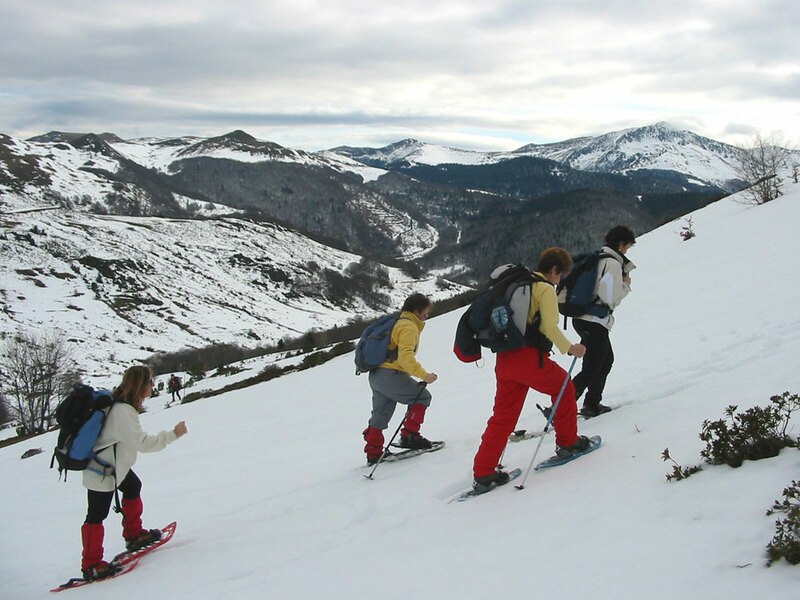 The last time I organised a snowshoeing expedition in the Pyrenees, I mucked up. We arrived at our destination over three hours late, in the dark.